Winter is coming! Or for lucky fans in Singapore, a "Game of Thrones" interactive experience is coming this 2 to 7 April 2016! To coincide with the arrival of season six of the highly anticipated "Game of Thrones" TV series on HBO Asia this 25 April 2016, "The Game of Thrones Experience: Worlds of Westeros" event will give fans a chance to experience what it's like to jump into the perilous lands of Westeros. 1. 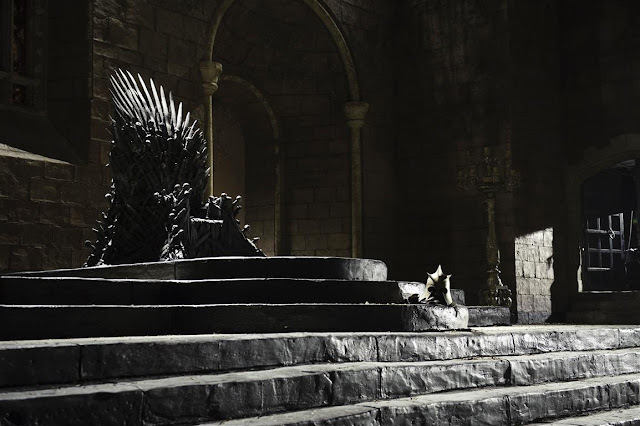 Actual weapon prop displays from the "Game of Thrones" set, including Brienne's sword Oathkeeper, Arya Stark's sword Needle, Ned Stark's Ice and the sword of a White Walker. 2. Photo opportunities with the life-size Iron Throne replica and Daenerys Targaryen's dragon, Drogon, against a green screen. 3. "Game of Thrones: Ascend the Wall" an Oculus Rift powered virtual reality experience that will bring you 700-foot up the icy wall of Castle Black.4. An exhibit of the series' original storyboards and concept art. 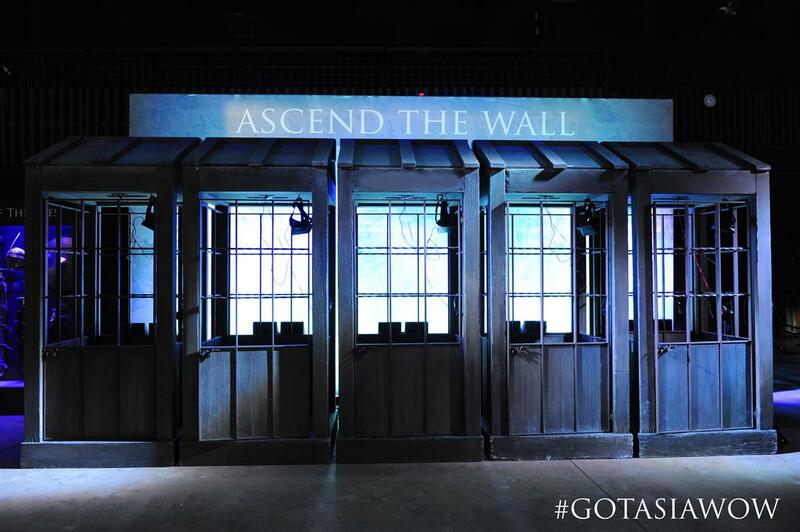 The "Game of Thrones: Ascend the Wall", an Oculus Rift powered virtual reality experience. Weapons from the series on display. Get your photos taken with the Iron Throne replica. That's not all, word is that 17-year-old British actor Isaac Hempstead Wright, best known for his role as Bran Stark in the series, will also be in town to publicise the event and the show's sixth season. Starring a great line-up of cast that have also gone on to act in movies, the sixth season will see returning stars Peter Dinklage ("X-Men: Days of Future Past"), Nikolaj Coster-Waldau ("Gods of Egypt"), Lena Headey ("Pride and Prejudice and Zombies"), Emilia Clarke ("Terminator Genisys"), Aidan Gillen ("The Maze Runner"), Kit Harington ("Pompeii"), Diana Rigg ("On Her Majesty's Secret Service"), Natalie Dormer ("The Hunger Games: Mockingjay Part 1"), Maisie Williams ("The Falling") and Sophie Turner ("X-Men: Apocalypse"). Among the new cast additions are Ian McShane ("Pirates of the Caribbean: On Stranger Tides"), Max von Sydow ("Star Wars: The Force Awakens"), Rebecca Benson ("Macbeth"), James Faulkner ("X-Men: First Class") and Freddie Stroma ("13 Hours: The Secret Soldiers of Benghazi"). "Game of Thrones" begins its ten-episode sixth season in Malaysia the same time as the U.S. on HBO (Astro Ch 411/431) this 25 April 2016 at 9am, with a same day primetime encore at 9pm. The series will also be available on Astro On The Go. Meanwhile in Singapore, the sixth season of "Game Of Thrones" will also premiere on 25 April at 9am (encore telecast at 9pm) on HBO (StarHub TV Ch 601), HBO GO and HBO On Demand.